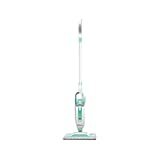 For cleaning tough messes and disinfecting your home, few things beat the power and convenience of a steam mop. Like traditional mops, steam mops use water to clean your floors. But by using the power of steam, these mops cut through dirt much better than your standard push mop. 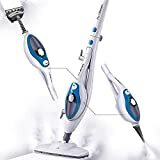 They can kill 99.9% of bacteria and dust mites while cleaning, they drastically reduce drying times, and they leave behind no residue when you’re done. 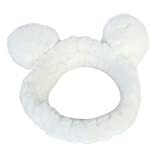 And because you won’t be using any harsh chemicals, they save you money and time! Steam mops are simple, convenient, and they require no tough scrubbing. There are many models to choose from, but our shopping guide will help you select one that’s perfect for your needs. Reusable mop pads: Because you are able to use the pads more than once, reusable mop pads are an environmentally friendly choice that saves you money. Disposable mop pads: Disposable mop pads are super convenient - simply toss them out when they get old, and put a new one on. No washing required! Proprietary mop pads: Some steam mops are designed to be used with specific mop heads. Engineered by the manufacturer to work best with their steam mop, many people swear by the proprietary pads that they use with their mops. Customizable mop pads: While nearly all steam mops will ship with included pads, some units are configured to use almost any pad or cloth you choose, so long as it fits the mop head. This extra customization allows you to buy or reuse whichever pads you prefer, or even use cloth you already have around the house. Startup time: Steam mops take time to heat up, but mops that do it quickly will make cleaning a breeze and they get great reviews. 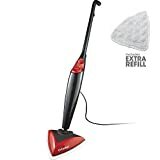 Look for a mop that heats up fast to increase your cleaning efficiency! Drying time: One of the advantages of a steam mop is that it leaves floors drier than a regular mop. Not all steam mops dry equally though, and the owners of mops that dry in just a few seconds are the most satisfied. Quality and durability: Longevity of steam mops is a key concern for consumers. They are an important investment, especially since most reviewers report using them two to three times a week. Choosing one that will last for years to come is a wise buying decision. Check out our list at the bottom of this guide for top brands known for quality products. Indicator lights: Steam mops kill household bacteria once their steam hits a certain temperature. Buying a mop with an indicator light that tells you when it is ready to use will ensure a house that’s as clean and allergen free as possible! For specific sterilizing needs, you might consider a dedicated steam cleaner to neutralize bacteria in those hard to reach places. 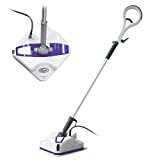 Buy a steam mop with a mop head size that is best suited to your cleaning needs. 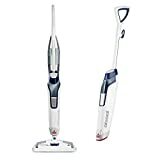 Large mop heads save time and energy when cleaning large areas, while smaller mop heads are maneuverable in tight spaces like under counters and appliances, or around furniture. 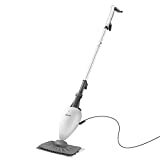 A steam mop’s weight is mainly influenced by the size of its water tank. Larger tanks hold more water and require less refilling during cleaning, while smaller tanks are great for anyone with mobility concerns or who wants a more portable device. Pick the weight that’s right for you! 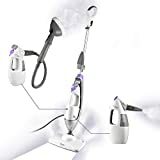 Some steam mops come with carpet cleaning attachments, tile scrubbing brushes, or nozzles for steam cleaning surfaces that aren’t flat, to name just a few accessories. Some even convert into handheld portable steamers! 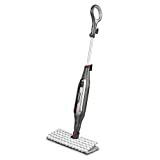 If you have varied cleaning needs, consider a steam mop with a variety of cleaning attachments. Sweep or vacuum first! 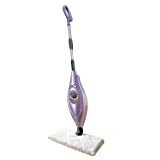 Steam mops are specifically designed to clean stubborn dirt and grime. To get the most out of your steam mop, do a quick sweep or vacuum before hitting the floors with your steamer. Doing this means you won’t change pads as often, and it lets the steam cut through the dirt that regular cleaning leaves behind. 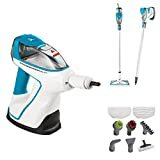 Bissell: Bissell is still run by the family that started it over 130 years ago, and in 2010 was the #1 North American manufacturer of floor care products in terms of sales. SteamFast: Launched in 1999, SteamFast focuses on quality by producing just steam cleaning products. Shark: Shark® is a brand of Euro-Pro Operating LLC, headquartered in Newton, Massachusetts, and is a third-generation owned family company that makes quality steam products. HAAN: The Wall Street Journal named founder Romi Haan one of "The Top 50 Women to Watch." Of Korean homes that steam clean, 3 out of 4 use her company’s steam cleaning products.